Lucky fans will get to experience the show of a lifetime TONIGHT as they experience Guns N’ Roses performing its first live gig in 2016 in the place where it all started – The Troubadour! Limited tickets are available at noon at Gibson Brands. GNR have gone back to retro pricing with tickets at $10 (cash only), and are available to buy at Gibson Brands at 8801 Sunset Blvd. A massive amount of fans are expected to arrive to score one of the reported 250 available tickets for the concert. Axl Rose and Slash have not performed together since 1993, and their reunion has been one of the most anticipated in rock history. 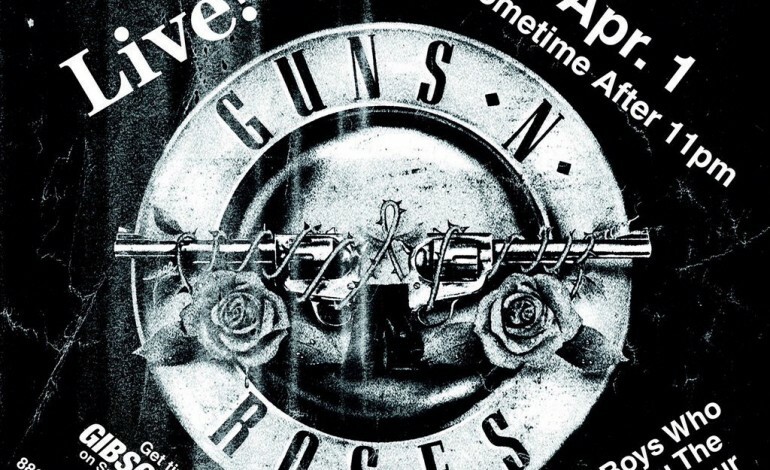 To fully enjoy this memorable event, fans are invited to take a trip down memory lane at the Tower store which will transformed into a complete interactive GNR experience with a memorabilia exhibit curated by Blaine Halvorson, designer of MadeWorn. The exhibit will include historic items such as members’ classic attire, original artwork, personal awards and more. Don’t miss out on the most anticipated music event of the millennium!